Home Copper MCX Copper futures are trading on a flat after the impressive run higher yesterday. MCX Copper futures are trading on a flat after the impressive run higher yesterday. MCX Copper futures are trading on a flat note today after the impressive run higher yesterday. 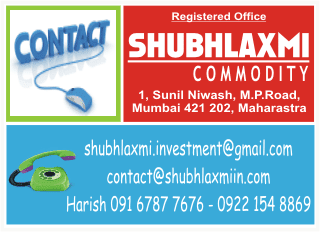 The counter was supported on bargain buying in global markets and weakness in the Indian Rupee. The commodity is trading in red in Asian session as some profit selling emerges after the overnight gains. The COMEX Copper futures are lingering at $3.1850, down 0.20% on the day. The prices have recovered from its three and hand month low mark this week. MCX Copper futures for November gained sharply in last session, adding nearly two percent but trade almost unchanged at Rs 443.05 per kg right now. Rupee had dropped towards 63 per US dollar mark yesterday, helping local futures add good gains. Copper witnessed a heavy swing yesterday. The metal stayed under pressure in European trades as the business activity in the euro zone fell unexpectedly in November, prompting concerns that the 17-nation bloc`s economic recovery is losing steam. The flash composite euro zone purchasing manager`s index (PMI) fell to 51.5 in November, down from 51.9 in October, according to a latest reading from Markit. While the index is still above the 50-point mark that separates expansion from contraction, the downturn is emerging on top of a feeble third-quarter economic growth in the euro zone. However, the scenario changed in New York trades after James Bullard, president of the Federal Reserve Bank of St. Louis and a voting member of the FOMC, said on Thursday that the inflation data gives the central bank some leeway to keep the current accommodative policy in place. Further supporting copper was data showing that the number of people who filed for unemployment assistance in the U.S. fell more-than-expected last week. In a report, the U.S. Department of Labor said the number of individuals filing for initial jobless benefits in the week ending November 15 declined by 21,000 to a seasonally adjusted 323,000.